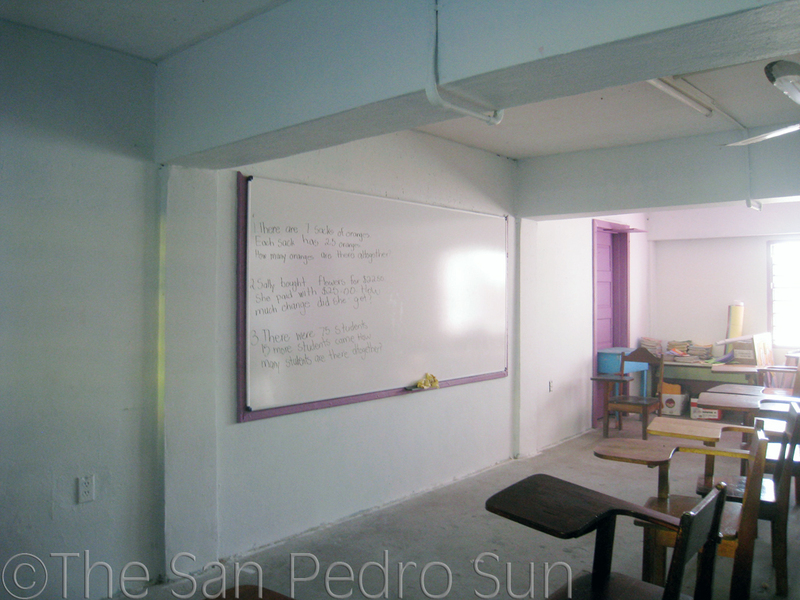 For as long as the San Pedro Roman Catholic School (SPRCS) has been in existence, chalkboards have been used in classrooms. Every year, the population of the school grows, and classrooms become more and more congested. Thrown in dust and sand from the streets and beach that enter the open-air classrooms, and you have a breathing hazard. “Add the humidity and chalk dust and you get air within the classrooms that you can actually see. Many children (and teachers) complained about breathing problems, particularly in the afternoons,” said Mrs. Roxani Kay, Principal. Earlier this year, the SPRCS faculty embarked on a program to replace its old chalkboards with dry-erase boards (whiteboards) in time for the 2011-2012 school year. Since funding for this system was not readily available, teachers came up with an idea to raise funds while instilling lifelong values and lessons that will benefit students from the school. That fundraising drive was the Mundialito Tournament that ran from March 11th through the end of the school year. Despite the Tournament, SPRCS faculty fell short of their goal. Thus, an appeal was sent out to the businesses and community at large to “Adopt” a whiteboard. Each aluminum-framed whiteboard measures 4” by 8”, and cost $350bz each. 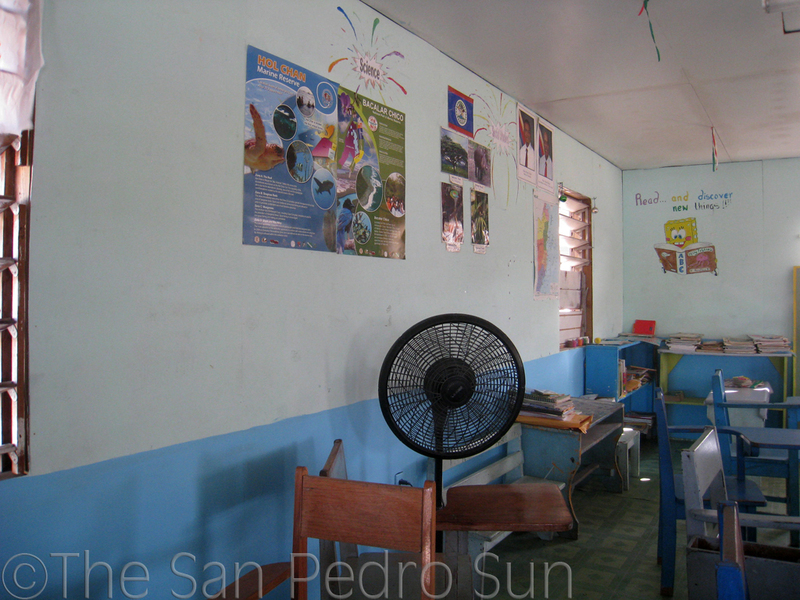 By early August, the school received whiteboards for all 33 classrooms, of which 12 are still not paid for. In an interview with Ms. Roxani Kay, Principal of the San Pedro RC School, on Wednesday September 7th she commented, “The response from the public has been overwhelming. I am ever so thankful from the bottom of my heart to everyone that has adopted a whiteboard and I am confident that the community will come through for the students at the SPRCS and the remainder of the whiteboards will be soon adopted”. Volunteers from La Iglesia Shalom installed most of the boards and the rest were installed the San Pedro Lion volunteers in time for the start of the new school year. 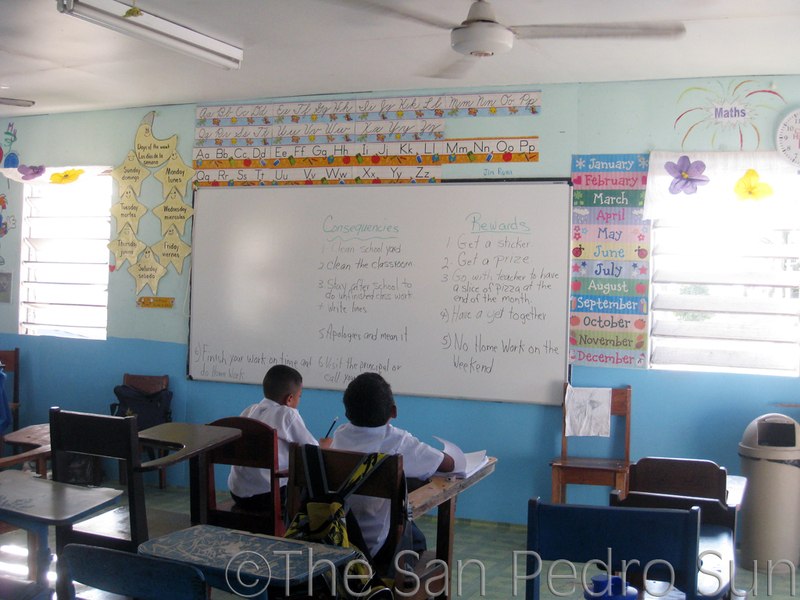 The San Pedro Roman Catholic School takes this opportunity to thank everyone who has contributed to this project so far. Special thanks go out to Mr. Curt Fisher, owner of Blue Tang Inn, who got the ball rolling this spring by adopting ten whiteboards. Other sponsors include Exotic Caye Beach Resort, Seaduced, Susan and Will Lala, Pelican Properties, Hol Chan Marine Reserve, Marty Casado (ambergriscaye.com), Sun Breeze Hotel, Sun Breeze Suites, Tranquility Beach Club #8, Royal Palms Villas 22C and Brenda and Dana LeTendre. Individuals or businesses wishing adopt 1 or more of the 12 remaining whiteboards may do so by contacting Principal Kay at 226-2550 or [email protected] or Dr. Brenda LeTendre (retired associate professor of education and volunteer at the SPRCS) at 628-9694 or [email protected] Please make your check payable to San Pedro RC School. San Pedro business owners Kelly McDermott-Kanabar and Mukul Kanabar observed that in addition to new whiteboards, the classrooms at SPRCS were in need of other improvements. 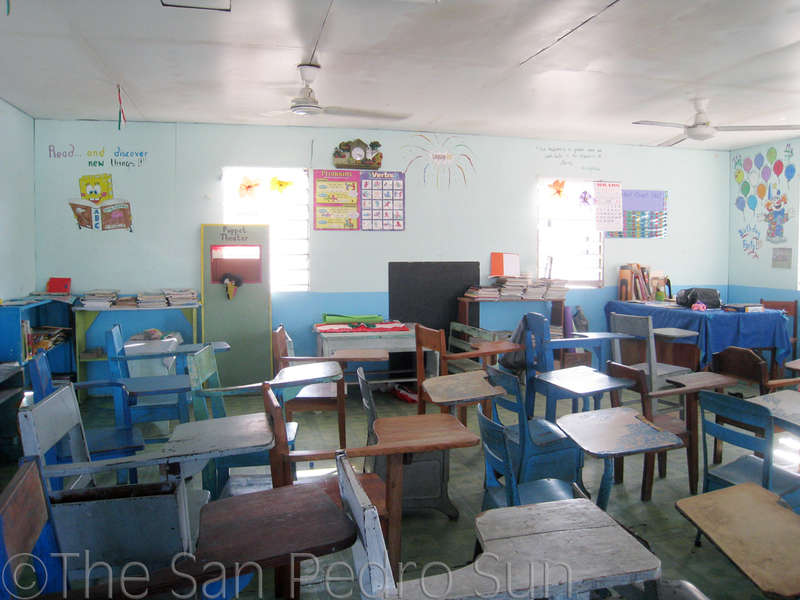 Mukul informed The San Pedro Sun, “Upon inspections, we discovered that many of the classrooms and desks were in desperate need of new paint. So, we worked with Principal Kay and our restaurants donated 30 gallons of paint in a variety of colors that the school picked out”. Special thanks must also be given to Mr. Alfonso Castillo of Castillo’s Hardware, who gave a generous 20% discount on the paint. The San Pedro Sun applauds the generosity of all the business owners who have taken the initiative to give back to the largest, most populated school on the island. 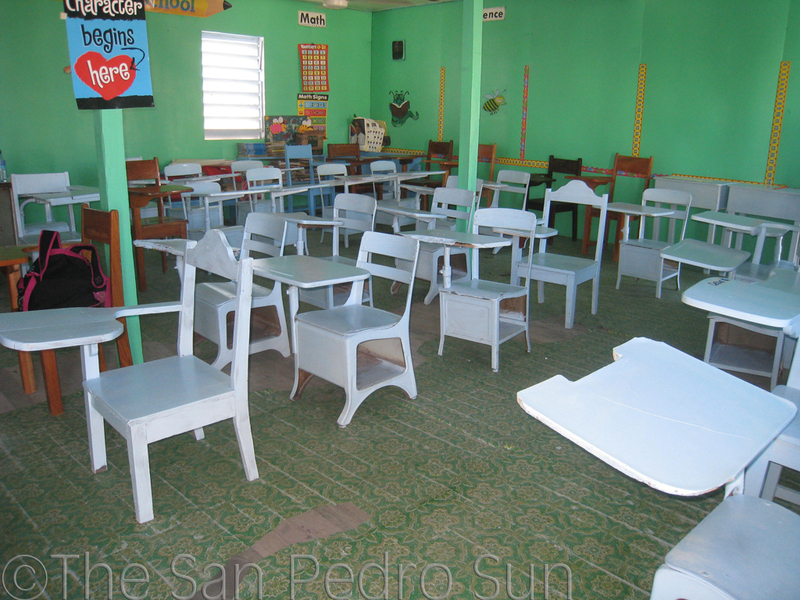 We are sure that the children of SPRCS enjoy and appreciate their newly renovated learning environment. 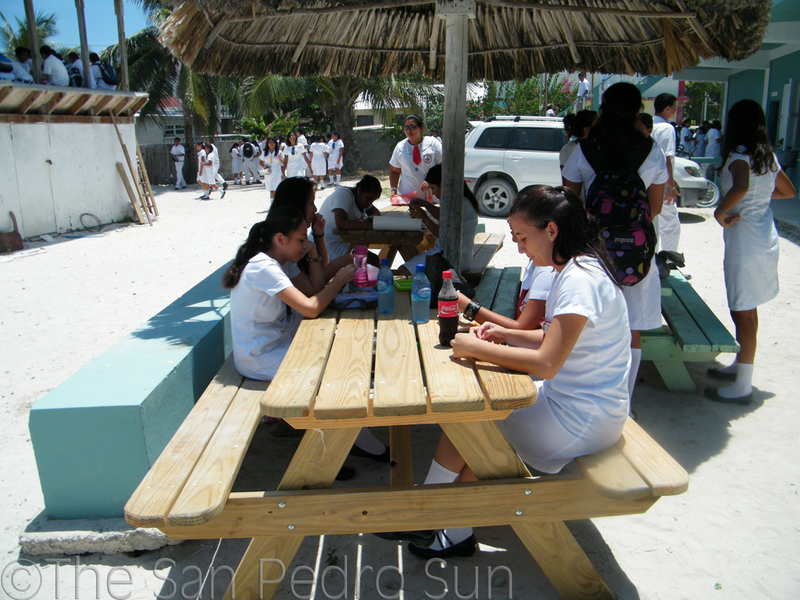 Press Release – SPHS PTA - September 1, 2011 - The San Pedro High School PTA Executives are pleased to announce that the funds raised from the Miss San Pedro High pageant have been used to provide picnic tables and benches for the school campus. At this time ten table/bench sets have been delivered to the school grounds and were painted and sealed in time for the orientation day. The table/bench sets were purchased from Pine Lumber at a cost of $370 each and were delivered at no charge to the Caribbean Queen. Alex Eiley of Caribbean Depot waived the shipping and delivery charges meaning the PTA saved $1,500. The PTA extends a thank you to Mr. Eiley and Caribbean Depot. It is their hope that the tables and benches shall be utilized on a daily basis and if the need arises more shall be installed. Funds were also used to supplement the 2010/2011 SPHS Caribbean Examination Council program as requested by the Principal of the High School. The PTA group invites parents to join the group and/or to contact them with your concerns, suggestions and recommendations. A heartfelt depth of gratitude is made to Mrs. Pamela Zetina who recently resigned from the PTA. Her enthusiasm and willingness to help in all situations shall be missed. For more information please contact Ernesto Gomez at 610-2543 or Amanda Syme at 622-2820.